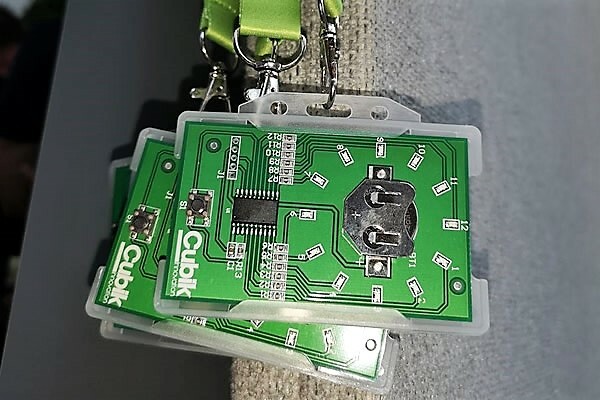 Cubik Innovation were one of the many exhibitors who attended the 2018 South Gloucestershire Business Show, which was held at Bristol & Bath Science Park on Wednesday 3rd and Thursday 4th October. A wide range of companies from the local area attended the event, where a number of workshops and live talks were on the agenda to allow business leaders to inject thinking and visitors to have their say. 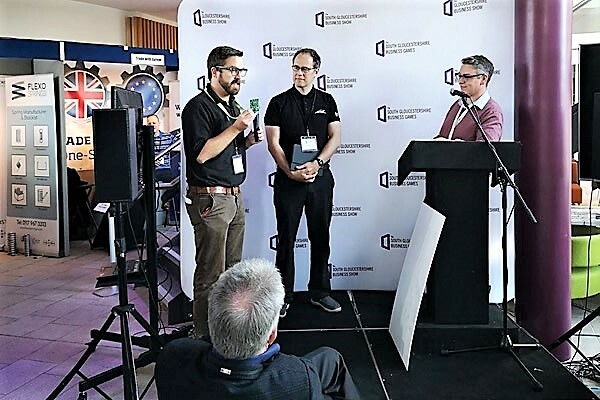 Our very own Paul Mullen (MD) and Matthew Weatherburn (Project Manager) took to the floor at various times throughout the exhibition to deliver some words of wisdom to an engaged and enthusiastic audience. The Cubik stand created quite the buzz, particularly the striking green graphics which certainly stood out from the crowd. Many flocked to see the Pick and Place machine in action, and to grab themselves a Cubik electronic business card game, which added a competitive element to proceedings. We are hoping to make an appearance at more trade shows in the near future, so please keep your eyes peeled for the glowing green Cubik stand, and be sure to come and say hello.